Hide any specific lists, lessons, or assessments to prevent your students from seeing work that they are not ready to access. This can be beneficial for students that tend to jump too far ahead without focusing on their current work or for preventing students from seeing an assessment before they sit it. 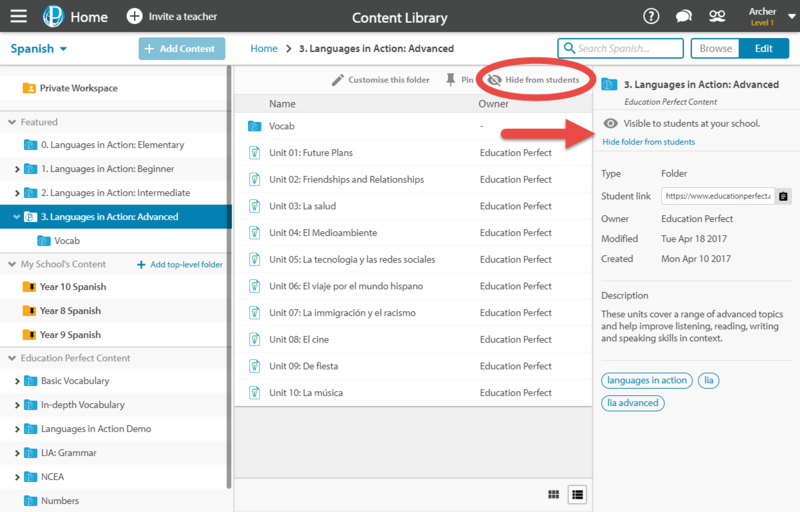 Ensure that you are in Edit Mode of the Content Library by clicking the Edit button at the top right. Click on the content you wish to hide in the Content Library. This will bring up a sidebar to the right of the page containing the options available for the content you have selected. The text shows which people can currently see the selected activity; either teachers only or students and teachers. 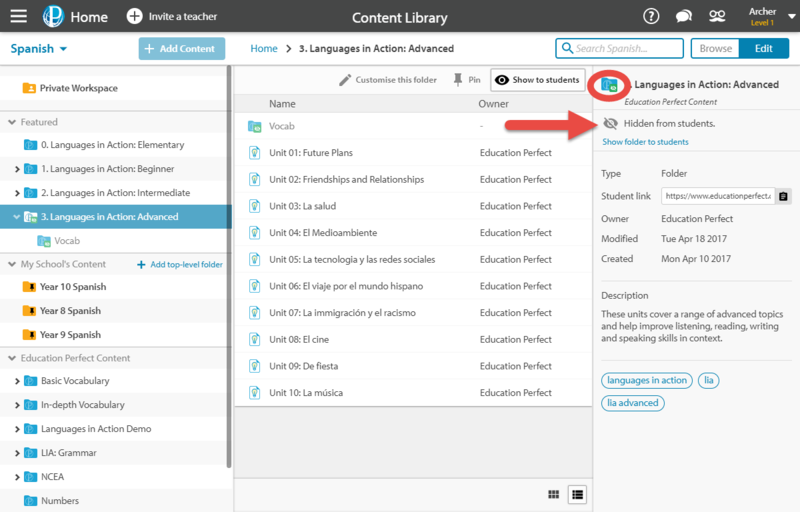 All teachers in your school can always see all content, regardless of visibility settings. To change the activity's visibility, click on the eye icon. Once clicked, the eye icon will change to have a line through it, and a green eye icon with a line through it will appear on the content in the list itself. This indicates that the content is now hidden. To unhide an activity, click the eye icon once more.